A nudge from her mother got Dana Powell into acting in high school, but now, after roles in Bridesmaids and Modern Family, Powell is making it big in Hollywood on her own. 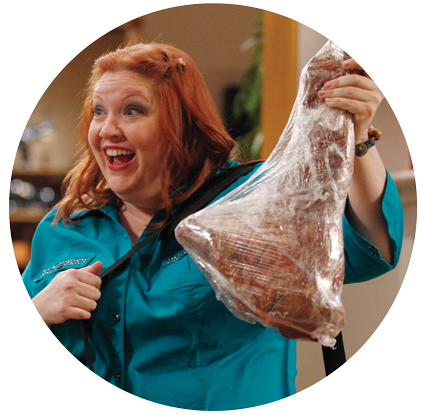 Photo courtesy American Broadcasting Companies, Inc.Dana Powell guest-stars on ABC’s Modern Family as Pam Tucker, the sister of main character Cameron Tucker (pictured), played by Eric Stonestreet. It’s taken exactly that bullish assertiveness to get Powell to where she is now. And where she is now is not bad at all—Powell is a successful comedic working actor who has had notable roles in some of the biggest comedies of recent years. She now has a recurring role as Pameron Tucker on Modern Family, and she’s made appearances on Veep, The Office, Reno 911!, Bridesmaids, Suburgatory, Clipped and more. After her mom pushed her into Fiddler on the Roof her freshman year, Powell got involved with drama and she says, “That’s when it became my love instead of hers.” That love led her to Missouri State University and to a degree in theatre, as well as to romantic love. 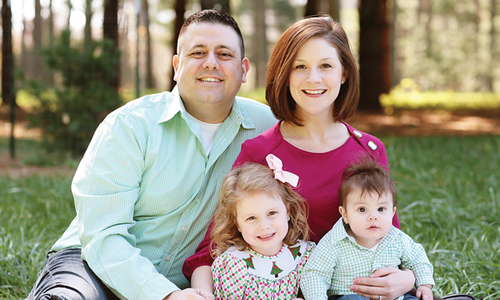 At MSU, Powell met Dan Tipton, who would eventually become her husband and create his own Hollywood career in production, where he is now the production supervisor for Modern Family. 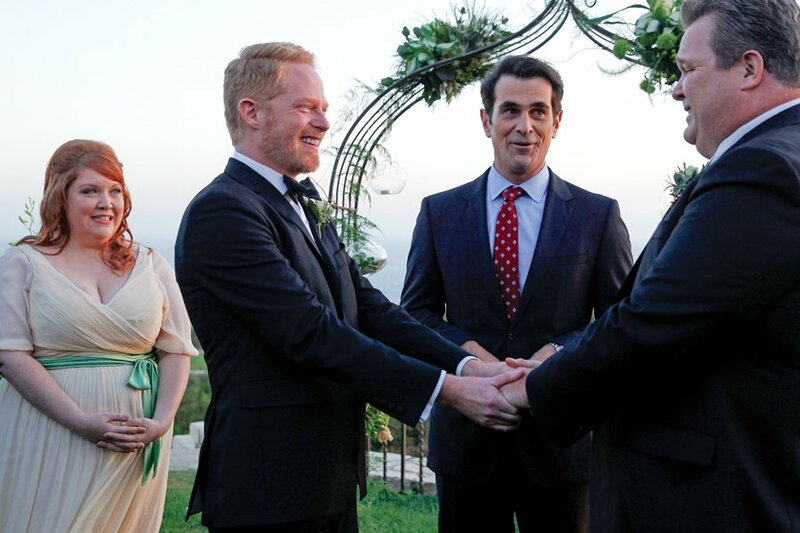 Photo courtesy American Broadcasting Companies, Inc.In the show’s fifth season finale episode, Pam (played by Powell) comes to town to be by her brother’s side as he marries his partner, Mitchell Pritchett, played by Jesse Tyler Ferguson (left). Photo courtesy American Broadcasting Companies, Inc.Through Modern Family, Powell can showcase her comedy chops. Her character, Pam, has a tendency to drive her brother-in-law Mitchell crazy with her emotional outbursts, and Pam’s questionable decisions, like smoking cigarettes out of her niece’s bedroom window (above), create even more opportunity for Powell to develop her character. Powell exists in this category of actor that the general public doesn’t often celebrate—actors that haven’t reached great fame but manage a fulfilling career through talent and relentless perseverance. 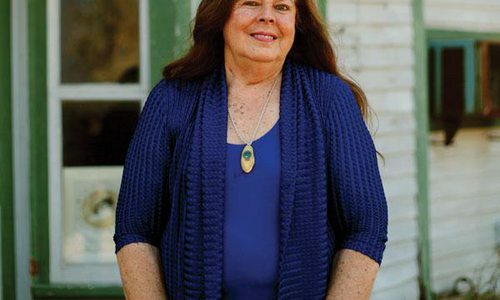 Powell attributes her ability to do that to her upbringing in the Midwest, and as opposed to some who dismiss their hometowns, Powell is proud to be from Springfield. “I talk about it all the time,” Powell says. “I love where I’m from. The biggest thing I want other people in the world and the industry to know is that we’re not stupid cowpokes. It makes me so mad when people say, ‘Oh flyover states.’ I’m like, ‘No, it’s nothing like that.’ I want people to know the beauty of the people, the beauty of the land. I’m tired of the dark, Winters Bone perception of where I’m from. This is a beautiful and happy place,” she says. “This place made me who I am, and I think I’m pretty cool,” Powell jokes. Hollywood agrees, and, by now, maybe that ninth grade choir teacher does, too.